Baseball, Apple Pie, and the Toyota Camry? You are here: Home / Special / Baseball, Apple Pie, and the Toyota Camry? Two surveys show very different American-made vehicle winners. Tops among American-made cars is this Toyota Camry. The US automakers have traditionally held up the red, white, and blue as reasons for buying their cars. Trouble is, not every Ford, Chevrolet or Chrysler is made in America. And for those vehicles built here in the good ‘ole US of A, domestic content is never 100 percent. Instead, what we have here is the Toyota Camry claiming the top spot for the sixth time in the past 10 years, the latter representing the number of years that Cars.com has conducted its annual American-Made index. The Toyota Camry is a Japanese-designed model, built at two locations in the US — Georgetown, Kentucky, and Lafayette, Indiana. According to the National Highway Traffic Safety Administration, the Camry has 75 percent domestic content, good for the top spot among all vehicles sold in the US. The score, however, does not look at the production facility alone. Cars.com bases its ranking index on three factors — domestic-part content, the final assembly point, and overall vehicle sales. As the top-selling car model in America, the Camry has an advantage in the sales area. Utilizing two US plants is another factor (the Indiana plant will quit building the Camry this fall). Toyota also harnesses a number of domestic suppliers to contribute content, effectively enabling the Camry to seize the top spot. 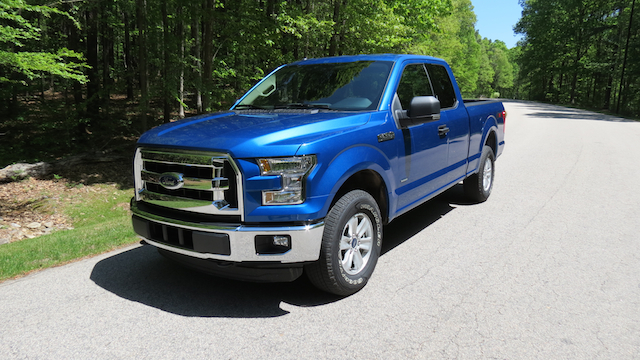 The Ford F-150 scores high, but it isn’t tops in American content. According to Cars.com, traditional Japanese manufacturers also hold the second through seventh spots. The Camry is followed by the Honda Accord, Toyota Sienna, Honda Odyssey, and the Honda Pilot. It isn’t until the eighth spot when a US model is ranked, with the Chevrolet Traverse, GMC Acadia and Buick Enclave each tying for that position. Besides ranking vehicles, Cars.com took a survey of nearly 1,000 respondents to determine why they prefer to purchase from an American manufacturer. Of that number, 53 percent said it was because they wanted to support the local economy. Notably, only 13 percent of consumers say they base their purchase decision on whether a vehicle is produced by an American manufacturer. That number compares to 28 percent just a year earlier. 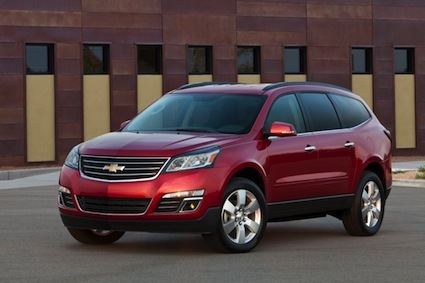 The 2016 Kogod index —released just ahead of the Cars.com survey — gave the Buick Enclave, Chevrolet Traverse, and GMC Acadia its top score, 90, followed by the Ford F-150 at 85 and the Chevrolet Corvette at 83. A host of American vehicles held the fourth spot; the first “import” brand took the fifth position when the Honda Accord was slotted in. Once again, a bevy of traditional American models held the sixth and seventh spots. The Toyota Camry and Sienna, as well as the Honda Pilot and Odyssey, secured the eighth spot with the Ford Expedition coming in ninth. The tenth position was filled with a combination of models from Chrysler, Lincoln, Acura, Honda, and Toyota. So, which survey is best used for determining the “most American” model? In many ways, they both do. Sure, the top models are different, but the vehicles mentioned by Cars.com each pulled down Top 10 rankings in the Kogod index. However, Kogod also added dozens of other models, effectively giving an edge to companies headquartered in the US.